I'd seen a lot of seatrout in the lower reaches of a local river recently so I thought I'd have ago one evening with a little J7 Rapala that's been successful in the past. I couldn't fish the main river so I had to make do with a small millstream adjoining it. The water was just clearing after rain and I was quite optimistic but as it turned out my optimism was misplaced. 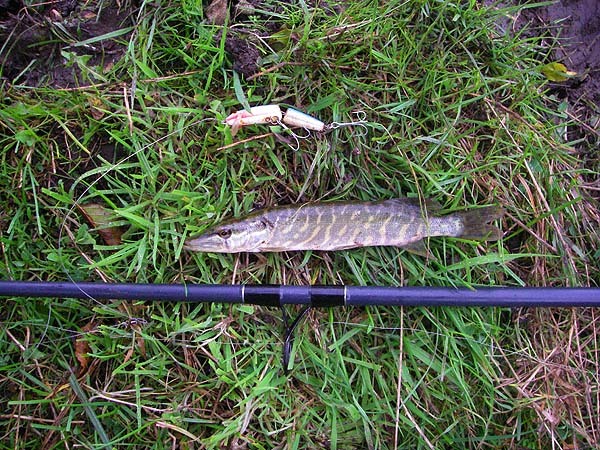 I fished for about half -an-hour with no sign of anything and I was just about to give up when suddenly there was a fish on but it didn't feel very big. 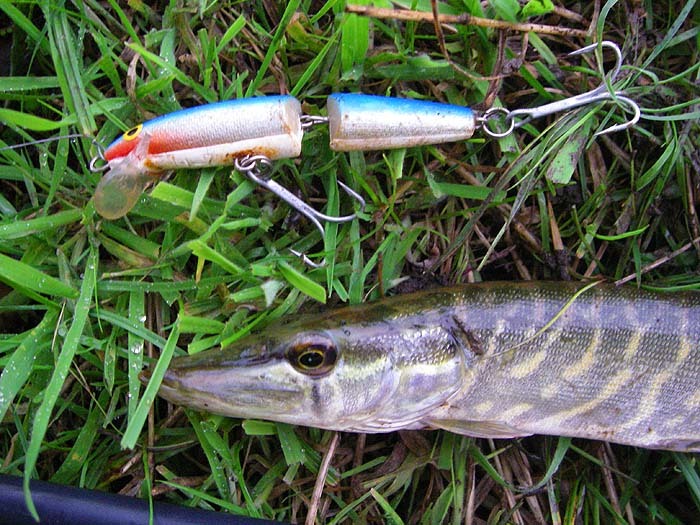 In fact it was the smallest pike I've ever caught (I've seen smaller ones when I was electric fishing). Anyway, I thought it was worth a couple of pictures so here they are. The deadline for a book is looming for me so these will be the last pages until mid-October. You'll have to make do with the archive for now.